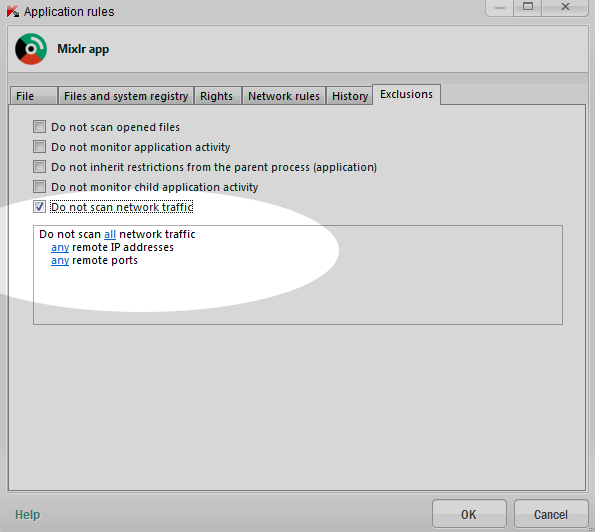 In this article we'll show you how to broadcast on Windows with Kaspersky anti-virus. 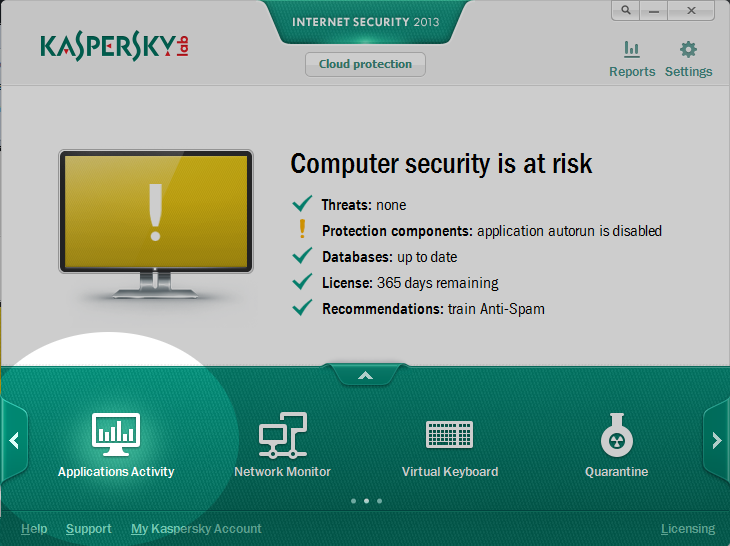 Kaspersky anti-virus is a popular and full-featured Windows anti-virus client. Unfortunately, out of the box it blocks Mixlr's broadcasting app and often is the cause of 'Reconnecting...' messages and disconnections. Fortunately, the fix is easy. This article shows you how to get broadcasting live on Mixlr and still stay safe on the web. 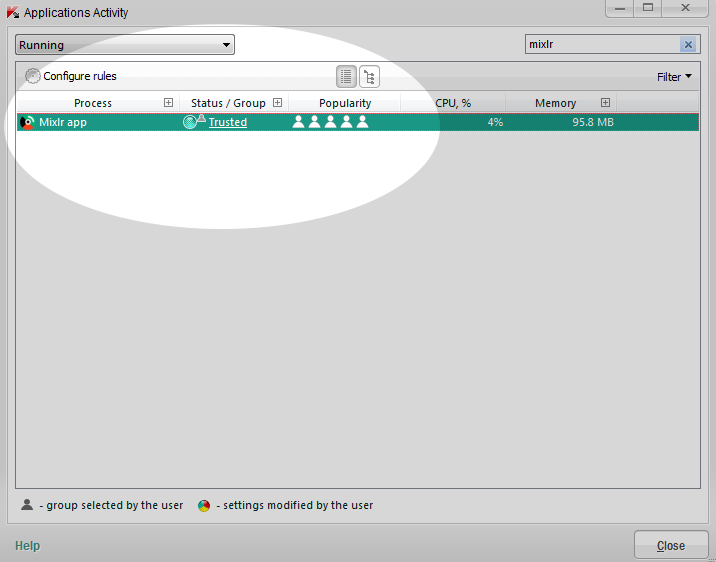 Open the Kaspersky control panel. This can be done by looking for the Kaspersky icon in your dock. Then, click once on the right arrow towards the bottom right corner of the window. 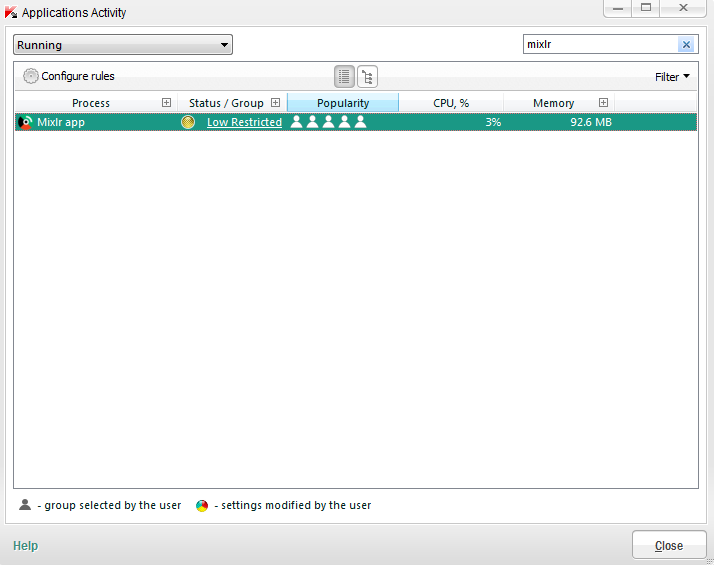 Next, click on the 'Applications Activity' icon to open the application-specific settings. Using the search filter near the top right, find the 'Mixlr app' settings. 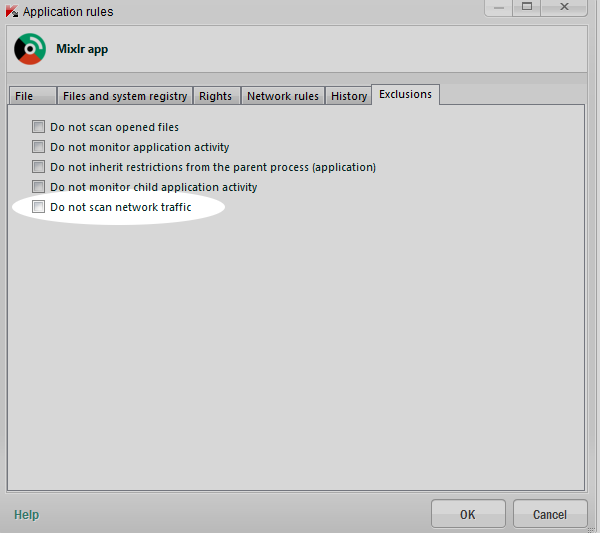 Right-click the item and open the network activity settings using the popup menu. In the window which opens, navigate to the 'Exclusions' tab. Although our tests indicate that this step is not strictly necessary, you may also want to add Mixlr app to your 'trusted' group. This may help to prevent future problems or other unpredictable security events affecting your live broadcasts. To do this, right-click the Mixlr item in the applications view and select 'Move to... trusted group'. TIP: ensure you quit and restart Mixlr again before you attempt to broadcast. These steps should ensure you can broadcast smoothly and still protect your PC with Kaspersky anti-virus. If you continue to have problems click here to contact us.